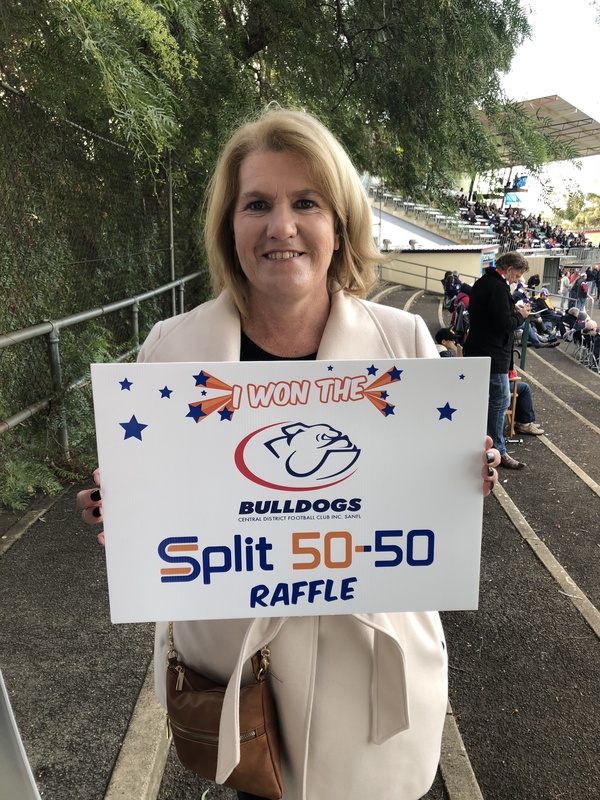 Woodville West Torrens Footy Club have set a new SANFL standard after running a fantastic Split 50-50 Raffle at last Sunday’s home game against Port Magpies. Supporters of both clubs got right behind local footy to raise $3405. Darryl McGlynn was lucky enough to win $1702.50 and the Eagles get to use the other 50% within the club. 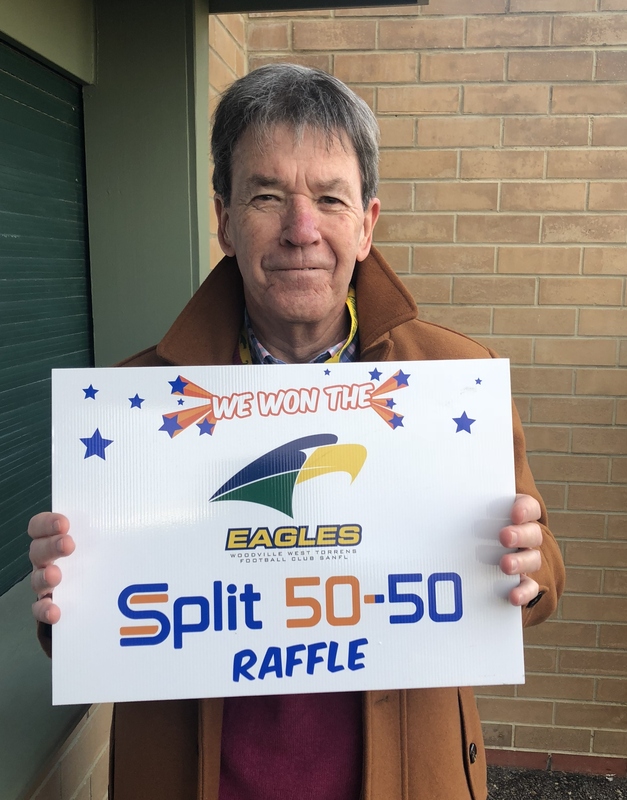 The beauty of Split 50-50 Raffles is that there is no risk and so much upside for clubs and non-profits organisations. 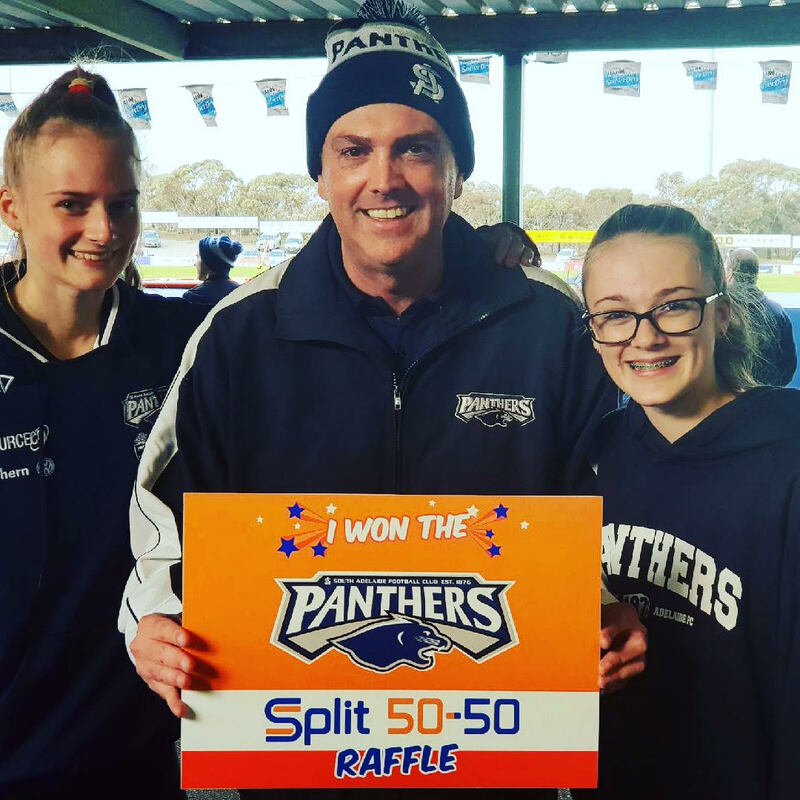 Central District and South Adelaide Football Clubs Split 50-50 winners were excited to go to the footy and take home $444.50 and $491.50 respectively. Michelle Kelly and Michael McPhee are very pleased the old Match Day raffle’s (with a first prize of $50 or $100) time has passed. One small local club raising funds very successfully with Split 50-50 raffles is the Cove Football Club in the Southern Football League. A total of $3002 raised in their last two raffles utilising a good mix of people to sell tickets has created an excellent income stream for the club. Supporters enjoy the chance of winning (both wins have been over $700) and the club can use money where needed. Last weekend’s results put the total money raised so far by Split 50-50 Raffles at $192,456.